Sneak peek at new art for an upcoming WG supplement!! 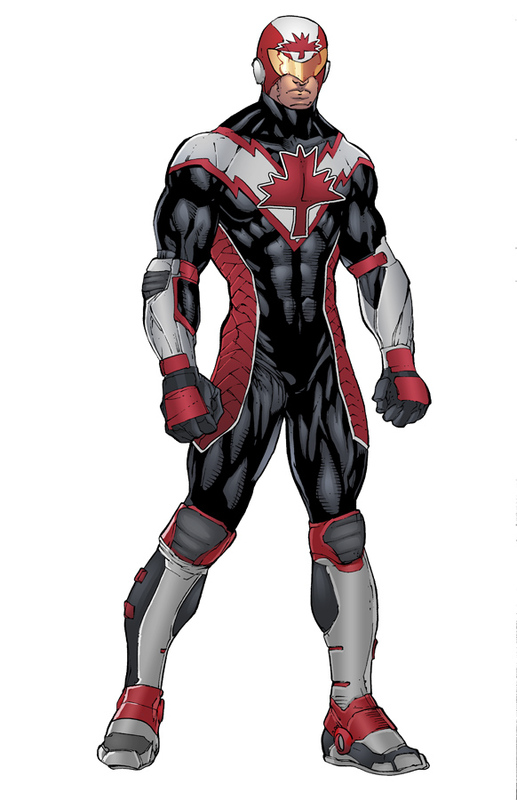 Sponsored by the Canadian Special Operations Forces Command's metahuman task force (Designate: M) in Quebec, and HQ'd in Manitoba, this is an elite, military-based & led, metahuman special missions force operating within the WatchGuard Universe. More to come on these guys soon!! "Runabout", art & design by Kevin Sharpe, inks by Troy Zurel, Colors by Eddy Swan. Runabout, Les Supérieurs, Designate: M, WatchGuard, all related characters and indicia © Charlie McElvy, 2012. ARR. Re: **NEW** WatchGuard: Les Supérieurs!! I just saw these on RPGnow, and I gotta say, they look pretty damn cool. Quick question, will the entire team be collected into one set? YES! Once we have all of the individuals posted, there will be a collected edition (which will also include Badger and a textual history of the team, the program, and the collective that supports them). WatchGuard wrote: YES! Once we have all of the individuals posted, there will be a collected edition (which will also include Badger and a textual history of the team, the program, and the collective that supports them). Thanks. Any idea of when the collection will be released? And will it be available in print, as well as digital? Nice, I think I may wait for the print on demand collection but stuff like this is always appreciated. Any idea of when we'll see a print collection? DSumner wrote: Any idea of when we'll see a print collection? Well, the latest addition to the Les Supérieurs line is available, the villain Windchill. How about a british duo called Fish and Chips. One has aquatic 'fish' related powers (like a merman) and chips can be interpreted a few ways.